In the beginning, there was Stephen Covey’s Time Management Matrix, which helped us to start looking at our tasks and priorities in a different way. The following is a version of the Covey Matrix, but I’ve flipped it to show things in a different way. Certainly, Covey nailed it and gave us a tool that we can use to make ourselves more effective in everything we do, but I want to revisit and differently emphasize a couple of key elements of the matrix. Before the what, let’s address the why – as in why this is important (pun intended). While there is so much we could focus on with this matrix, my key focus today is on the challenges of urgency. Specifically, the reality that there are very few external urgency drivers in anything that we do (unless there’s a legal or statutory deadline that drives a sense of urgency). 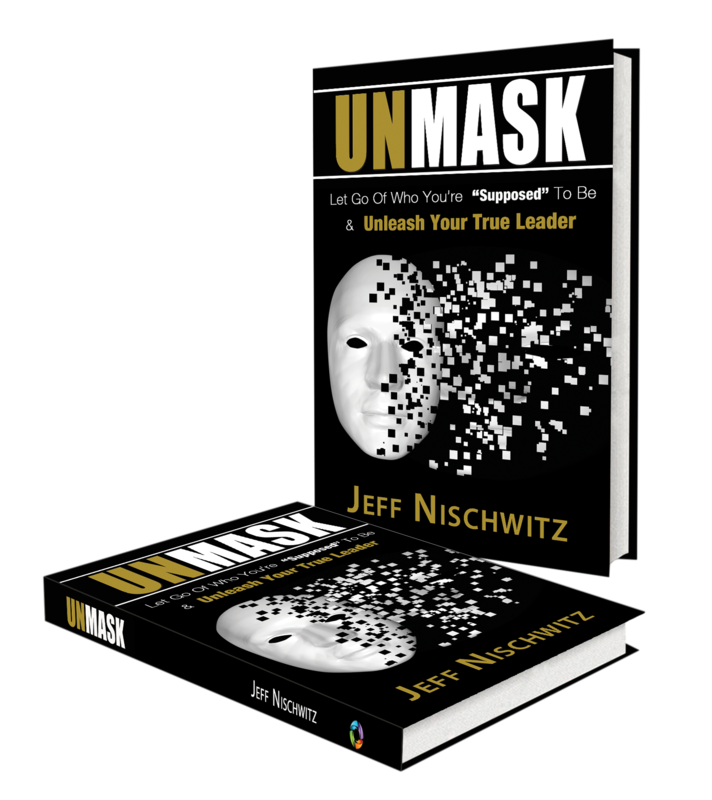 In other words, it’s up to us (you and me) to create an internal sense of urgency, without which most things (projects, plans and priorities) will be delayed or possibly even missed. In other words, without our own internal and self-driven sense of urgency we are doomed to miss opportunities and come up short in our execution and achievement. The quadrant that I’ve always wonder the most about is the lower right – low importance, but urgent. This is the quadrant where Covey suggests that we delegate, but I often struggle to think of things that are not important, but somehow urgent. You may have some examples, but frankly it doesn’t matter since whatever you come up with it should be somehow delegated to someone else. This is not an area where most of us should spend our time because it’s rarely our highest and best use. The dangerous quadrant is the lower left – not important and not urgent. Why? Because believe it or not this is the quadrant (where Covey suggested dumping the task) that we may waste the most time. How is that possible you say? Because the not important and not urgent is often the tasks or items that are the easiest to complete. This is the land of the basis “to do” list where we get to feel good because we crossed something off the list. While this quadrant ideally would be empty for most of us, it’s a trap quadrant where you can end of wasting lots of time if you’re not careful. For obvious reasons, the top two quadrants require the most attention because they are both important with different and sometimes “moving” levels of urgency. What I mean by “moving” is that in some cases the initial urgency of an important task is low (or lower), but over time is acquires greater urgency. Imagine the urgency meter moving across the top row from left to right as the important, but not urgent grows in urgency with the passage of time. A great example is a proposal. 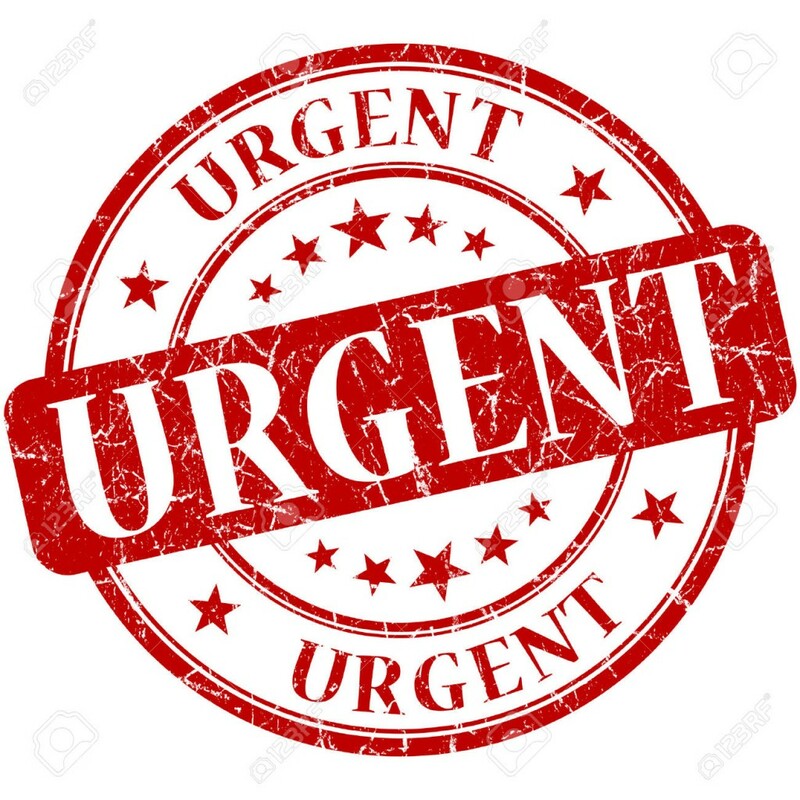 If you commit to providing someone with a proposal on November 30th, on November 20th it may not be that urgent but by November 29th the urgency is extreme. You already know where most of us spend the most time – in the upper right quadrant of high importance and high urgency. That’s a no brainer and if we don’t spend time there, then highly important things (with deadlines) often get delayed or dropped and this is an area of high risk for all of us (which is why this quadrant is so obvious in terms of spending and investing our time). While there’s always something to learn and improve in the high importance / high urgency quadrant, it has many external drivers (i.e. 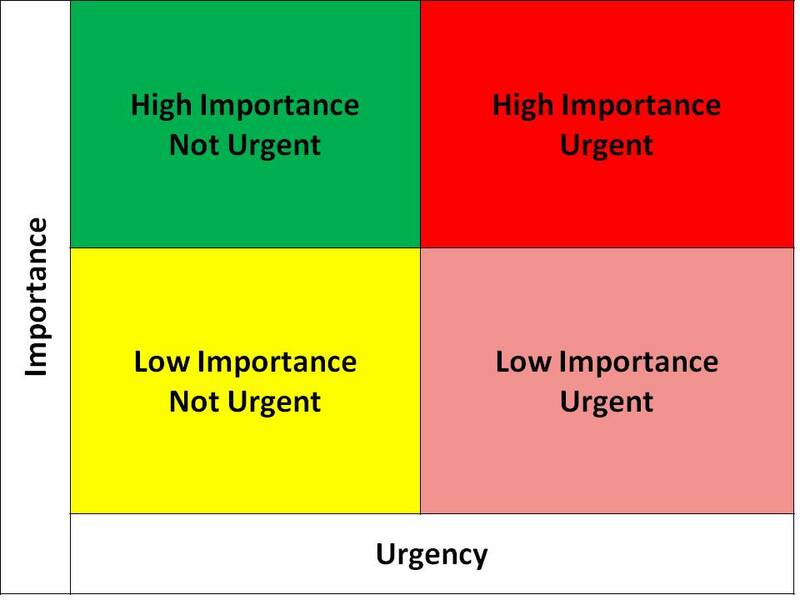 the external urgency drivers) that keep us sharp and focused on items in this quadrant. That brings us to the opportunity quadrant and, more important, the quadrant where we often miss out on opportunities (whatever their nature). This is where things that are important, but not urgent, either don’t get our attention or don’t get our timely attention and we miss out, delay or drop things that we know are important, but which didn’t have a sense of urgency for us in our daily prioritization and actions. If you are in business development, this quadrant includes a long list of critical activities that often don’t get our attention. For example, if I’m scheduled to attend an event I might choose to miss it for other priorities, but I know the date of the event and it has a natural sense of urgency (i.e. the event is tonight at 6:00 p.m. and it’s on my calendar as such). In contrast, vital activities such as sales calls, follow up and even proposals don’t have a clear urgency (at least not external) unless there is someone else imposing that sense of urgency (e.g. a sales manager who is tracking your activities). For the most part, any sense of urgency for important but not externally urgent matters must come from us. 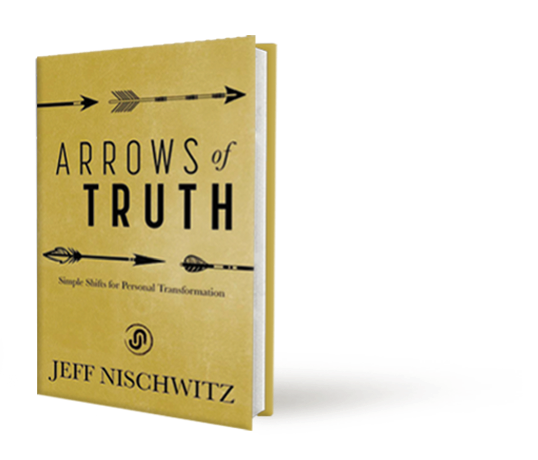 We have to create our own sense of urgency in how we prioritize our actions and activities every day. This is where we can fall down and miss out.